Ladies Jennifer Floral Blouse short sleeved cut from pure cotton. Ladies Pretty floral design blouse in shades of cornflower, sage and violet on a white base. 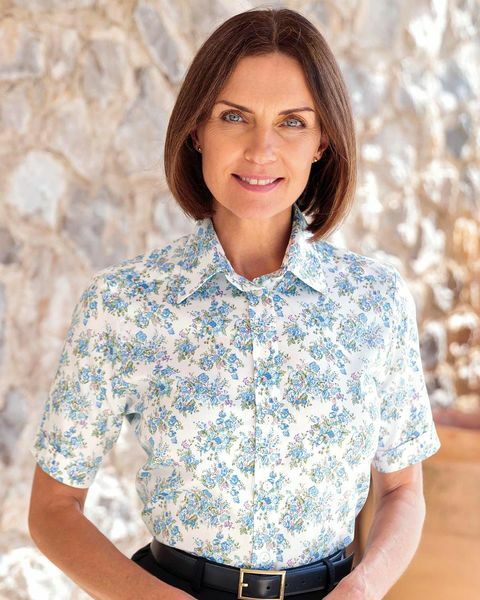 Classic short sleeved style cut from pure cotton. Mock turn back to sleeve and a gently rounded hem. A versatile blouse which will elegance and style to any outfit.